Queensland Energy Resources (QER) is an Australian company seeking to address looming shortfalls of conventional transport fuel through sustainable development of Queensland’s rich and well-located oil shale resources. In 2005, QER adopted the Paraho® ‘surface retorting’ technology to develop their Australian oil shale deposits. 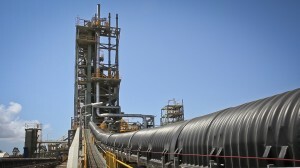 Beginning in 2011, the company successfully operated a Paraho II™ technology demonstration plant near Gladstone in Queensland, on their Stuart oil shale deposit. QER’s successful demonstration of the Paraho technology for processing oil shale has laid the foundation for development of a full-scale commercial facility on the Stuart deposit. The company is now working on the next stage of their project, a small-scale commercial plant located at their current New Fuels Development Centre site. Shale Tech International Services assisted QER in the design, construction, and commissioning of their technology demonstration plant, and is continuing to assist them in scaling up the technology and processes to construct a small-scale commercial plant. 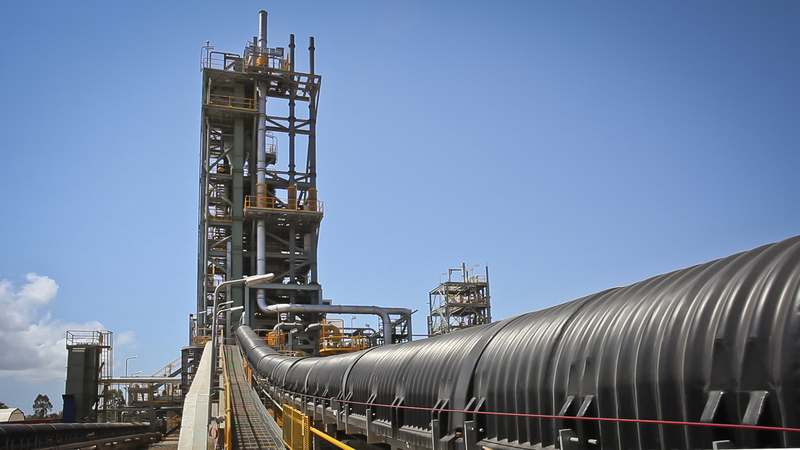 To learn more about QER’s projects and their plans for converting Australian oil shale into a range of liquid hydrocarbon transportation fuels, please visit the QER website. Headquartered at the Colorado School of Mines within the Geology and Geological Engineering Department, the Center for Oil Shale Technology and Research (COSTAR) integrates efforts in scientific and engineering research, as well as information management, technical review, education, and communication related to development and production of hydrocarbons from oil shale. COSTAR also provides unbiased information to interested parties about the benefits and opportunities associated with a domestic oil shale industry as well as issues related to technical, environmental and economic risks. The Oil Shale Information Office (OSIO), as part of the Center for Oil Shale Technology and Research, provides information on technical and non-technical developments in oil shale production, provide access to educational materials including resources in the Tell Ertl Oil Shale Repository to a worldwide audience, and offer expert support to anyone who wishes to use the resources of the Center. Resources include: maps, drawings, photos, and technical reports, in addition to newly digitized formats currently being added to the Colorado School of Mines’ Alliance Digital Repository. The OSIO also facilitates an annual Oil Shale Symposium, edits and publishes the proceedings of the symposium, and creates digital research data to be accessed by the world and COSTAR members. For more information about COSTAR and resources available to the general public and to oil shale developers, please visit the COSTAR website. The National Oil Shale Association (NOSA) is a Colorado nonprofit corporation providing facts about oil shale development in the United States. The members of the Board of Directors of NOSA have extensive experience in oil shale and energy development. Its sustaining members include Shale Tech International Services LLC and other firms currently developing oil shale in Colorado and Utah. For more information about oil shale, its importance, impact on the environment and other natural resources, and other general information including current oil shale projects in the Western United States, please visit the NOSA website. The Tell Ertl Oil Shale Repository is located at Arthur Lakes Library, Colorado School of Mines. The Repository contains approximately 67,000 documents related to the development of the oil shale industry throughout the world, with emphasis on the western United States. It is perhaps the world’s largest, self-contained, publicly accessible collection of oil shale materials. Documents include published and unpublished technical reports, manuscripts, photographs, slides, and maps. Items of interest to technical and historical researchers include original research reports, personal notes of key oil shale developers, and essential series such as Synthetic Fuels Quarterly Report and Oil Shale Symposium Proceedings. Materials in the Tell Ertl Archive must be used in the Tell Ertl Room of Arthur Lakes Library, limiting access to researchers able to visit the Repository. The collection also is searchable in the open access Tell Ertl Database; however, full-text of documents is not available online. With funding provided by COSTAR, a digitization project is underway. The location of this free online service is the CSM Digital Repository. ECCOS is a non-profit, grassroots organization with members and followers all across the United States, but primarily in Colorado, Utah, and Wyoming. They are interested in the immense potential of oil shale and have as their primary goal to educate the public and government officials about both the vast potential and challenges of oil shale. Visit the ECCOS website for more information. For additional detailed information on oil shale, please visit the Department of Energy Strategic Unconventional Fuels Task Force.